2019 Touareg Is A Big Step Forward For Volkswagen – But Is It A Leap For SUVs? Volkswagen has really went back to the drawing board with the new generation Touareg – which is a welcome departure from the German automaker’s usually conservative practice. Not only is it a totally new design, but it also rides on the MLB Evo platform, the same as the latest Audi Q7, Bentley Bentayga and Lamborghini Urus. As a result, one might think that the new Touareg would be fun to drive, but, according to AutoExpress, that is not the case. 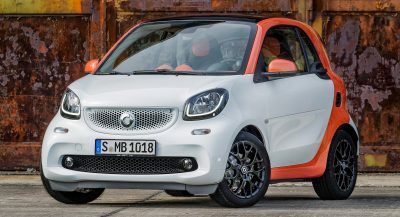 It appears that the brand’s engineers were ordered to differentiate it from the aforementioned SUVs, and while it is extremely safe and predictable, the driver doesn’t get a lot of feedback. Volkswagen’s flagship SUV is currently being offered with a 3.0-liter TDI diesel with either 228 or 282 HP. 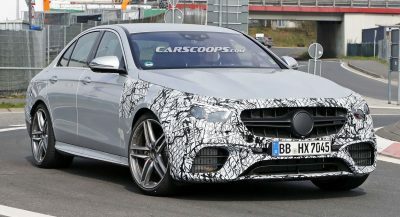 Later on, a 4.0-liter V8 will be added, along with a six-cylinder petrol engine. A PHEV was confirmed for China, but the automaker hasn’t said anything about a launch date in Europe. If the MLB Evo architecture and sharp design are not enough to convince prospective customers, then the interior build quality probably will. The cabin is very well made, with high quality plastics, glossy and leather trim, metal accents and so on. Pretty much everything you touch feels like it was built to last, and the digital instrument cluster combined with the infotainment system that appear as one large unit give it extra points. Elsewhere, passengers won’t have to struggle for legroom or headroom on the rear bench, no matter how tall they are, as Volkswagen chose to keep the five-seat layout and not stuff two smaller ones in the back. Boot space is also very sufficient, as the new Touareg would gladly eat several large suitcases. 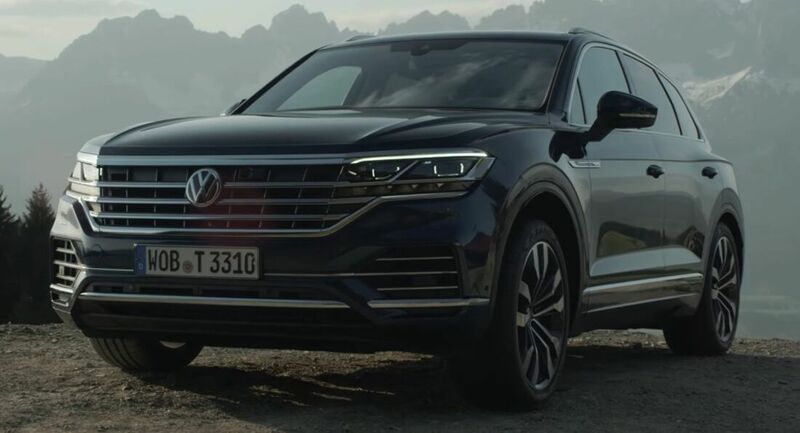 Enough said; you can watch the whole review of the 2019 Touareg by hitting the “play” button on the video right below. overall it’s a step forward and closer to Audi Q7 but the front grille design looks cheap with those horizontal lines across the front grille. I expect the grille should stand out a bit rather than flat across the whole front. 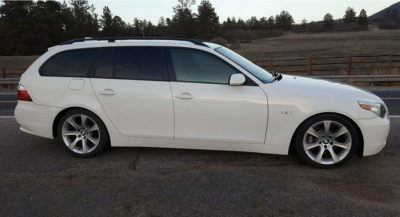 My coworker drives a first-gen facelifted 2009. So much nicer looking than this. I agree, a well specs one is very attractive. I can see why they made the Touareg in 5 seat only as they already have a 7seat version – the Q7. It is looking and feeling clearly better than other volkswagen suvs and i mean q7 & bentayga. Easy on that LSD, my friend. Until you feel it falling apart like so many Audi’s. I’ve long liked the Touareg and when I found a great deal last Oct I bought the 2017 Touareg Wolfsburg Edition (driven 1600 miles by a VW Manager before she traded for 7 passenger Atlas) and I’m very pleased. Yes, yes yes. Now send it over to the US.